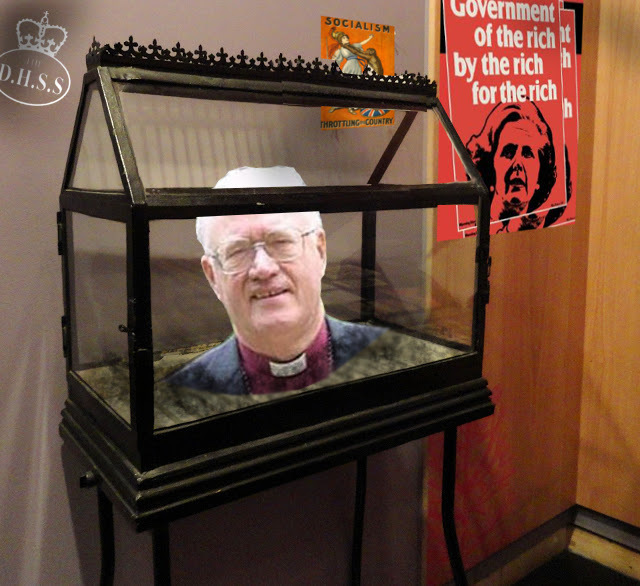 It emerged today that former Archbishop of Canterbury, George Carey, is to be placed as an exhibit in David Cameron’s 15 million pound, tax-payer funded Museum of Thatcher. This entry was posted in Funny articles and tagged carey, daily mail, museum, thatcher by masterofthememes. Bookmark the permalink.